innovations and applications of the latest bold actions straight to you. DRIVING CHANGE. MAKING A DIFFERENCE. 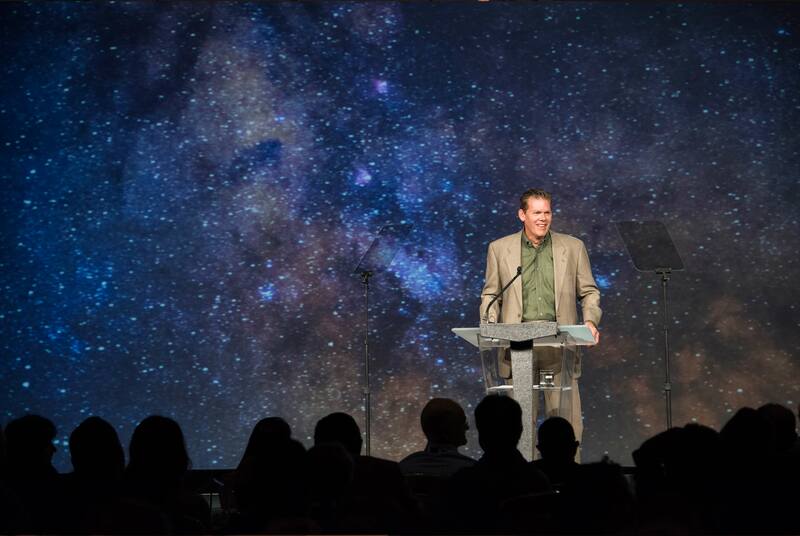 Jim Fish, President & CEO of Waste Management makes the keynote speech at the Waste Management Sustainability Forum 2018, encouraging the audience to take bold, active measures to preserve the future's ability to meet their needs. 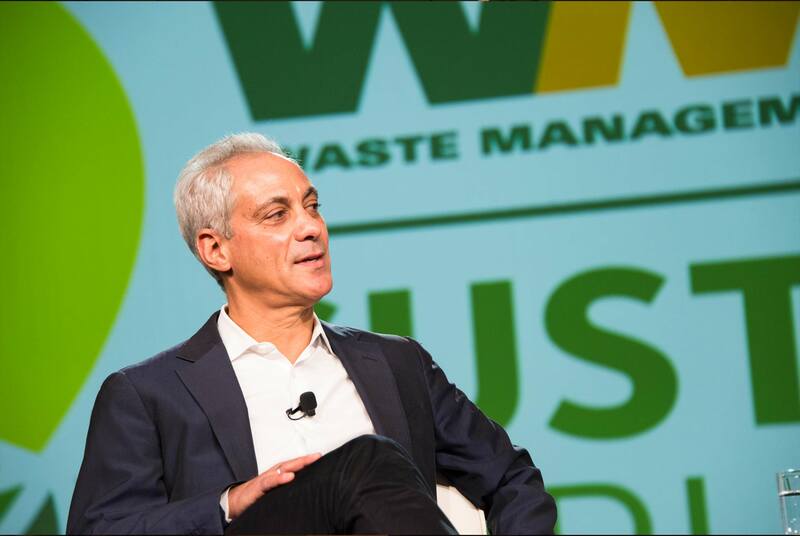 Mayor of the City of Chicago, Rahm Emanuel shares policies enacted by the city that protects the environment while being economically beneficial and socially inclusive. Keller Rinaudo, Founder and CEO of Zipline felt that it was unacceptable that the "lack of logistics" resulted in the inability to deliver medicine to those in need. His desire to put an end to this resulted in the leveraging of autonomous aircraft. 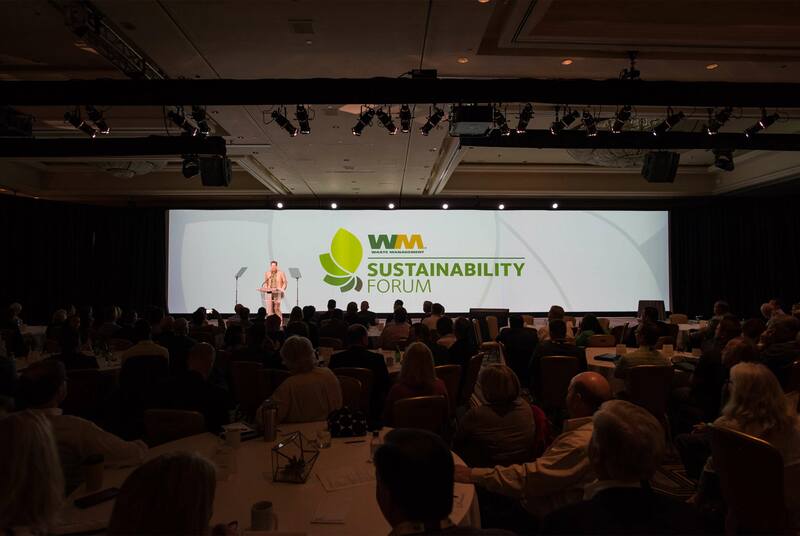 Once every year, Waste Management brings together leaders in the industry to re-think our recycling strategies to meet the needs of an ever changing world. What past attendees are saying. that they got the opportunity to see the new innovations in the marketplace." 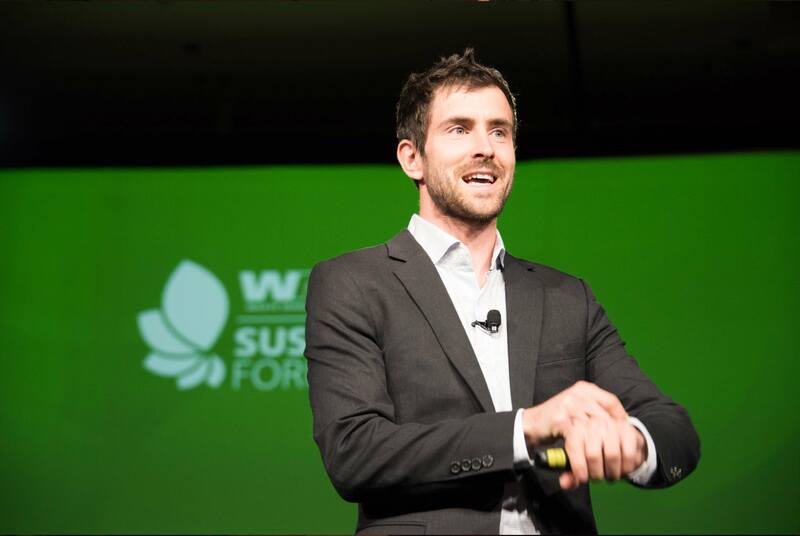 "It's a tremendous program put together with a diverse group of speakers on all areas, from e-commerce, to special event recycling, to greening your events." "I thought it was fascinating to hear different perspectives than maybe we have as a manufacturing company about recycling and sustainability - about how different people go about making their municipalities, companies and people more sustainable." Kevin Tubbs | Oshkosh Corp.
RSVP today and we'll keep you updated on forum details, including speakers and topics.